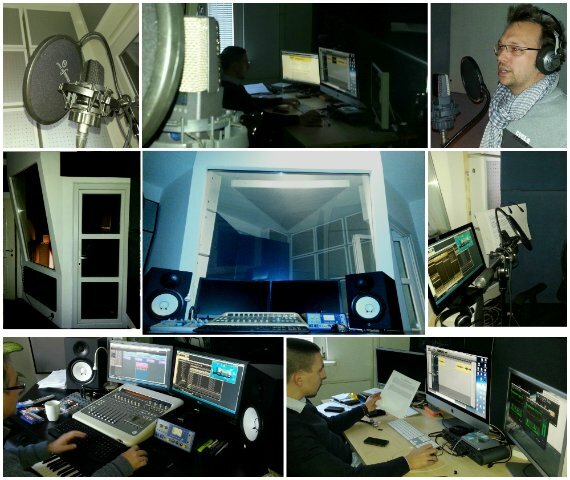 For high quality voice over sessions, Serbian voice artists are able to rent a recording studio in Serbia. This professional studio is specifically designed to voice-over recording, not for music or instruments. This is especially good for our Serbian voiceover talents who don’t have their own personal VO home studio – more soundproof, and acoustically “dead” (no reverb or “flutter”). Recording studio in Belgrade is experienced in many forms of audio recordings voice over production including Serbian radio Ads or TV commercial adaptations or VO for corporate video localisation into Serbian language, and post-production techniques such as mixing and laying back to picture. Charge is for time booked studio– no extras for set up time, backups or file transfers. Sessions are engineered using Protools. This studio in Serbian capital city Belgrade is equipped with Neumann microphone and AKG 414 mics with professionally-installed sound booths seating from one or two voices. Recording studio can be booked by the hour, half-day or full-day. → Due to the large number of jobs, this studio is possible to book from time to time. We always need to check studio availability for rent at least 7-10 days before voice over recording session with our voice talent.